After a traffic collision, a driver who has sustained injuries because the other driver was negligent will be entitled to compensation for those injuries. But some insurance companies try to avoid paying – or paying fully – for injury claims. Insurance companies are obligated to handle claims expediently, but less reputable insurance companies will stall or delay payment. They’re hoping that you’ll give up and go away. Too many people do exactly that. If an insurance company consistently tells you that their investigation is ongoing, that you must offer additional information, or that you need to meet more requirements, the company is probably stalling. You can call the insurance company every day and demand to know the status of your claim, but if you’ve been injured, you shouldn’t have to wait long or needlessly for compensation. The smartest move is to put your case in the hands of an experienced Chicago personal injury attorney – from the very beginning. Fault is the key issue in insurance claims arising from traffic collisions. If another motorist is at-fault for your accident and injury, that driver’s auto insurance company may deny that the accident was that driver’s fault. Even when another driver was clearly at-fault, that driver’s insurance company might try to reduce the liability by charging that you were also at least partially at-fault for the accident. Under the comparative negligence system in Illinois, the injured party in a traffic collision may have some degree of fault in the accident and still recover reduced damages. 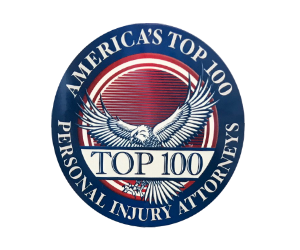 In other words, if an accident case becomes a personal injury trial and the victim’s damages total $100,000, if jurors decide that the victim had twenty percent of the responsibility for the accident, the award would be reduced by twenty percent and total $80,000. A common tactic used by some insurance companies is telling injury victims that they have not supplied evidence sufficient for a claim’s approval. It’s vital to keep and make copies of everything – medical bills, the police accident report, and any other document generated by the accident or by your medical treatment. If you’re able to supply whatever is requested by the insurance company, this tactic won’t work. To reduce the total that the insurance company will have to pay, the company may accuse you of exaggerating the severity and extent of your injury. The insurance company can even hire a doctor and ask you to submit to an “independent” medical examination. If it’s necessary, your personal injury lawyer can arrange for a truly independent medical examination. Sometimes an insurance company will claim that a traffic accident victim’s injuries were pre-existing and were not in fact caused by the crash. Don’t be intimidated by this tactic. Even if you did have some type of pre-existing medical condition, if you can prove that your condition was aggravated or exacerbated by the traffic collision, you still may be able to win compensation with a personal injury claim. WHY IS HAVING A MEDICAL EXAM SO VITAL AFTER AN ACCIDENT? Insurance company tactics are only one of the reasons why you must seek medical attention immediately after any traffic accident – even a seemingly-trivial fender-bender. If you sustain a hard-to-detect or latent injury, and you did not seek medical attention immediately, an insurance company may claim that you were injured in some other way – and that the company owes you nothing. Even if you’ve never felt better in your life, have a doctor or another healthcare professional examine you within 24 hours after an accident. It’s imperative – both for your own health and in case you need to take legal action later. Some insurance companies can be tricky, and their shady tactics are not always recognizable at first. In Illinois, if you are injured by a negligent driver, and you’re going to need compensation for medical bills and lost wages, take your case immediately to a personal injury attorney, and let your attorney negotiate with the insurance company on your behalf. Personal injury lawyers routinely negotiate with insurance companies on behalf of their clients, and they are familiar with the tactics that the less reputable companies regularly use to wiggle out of their obligations. If you’ve been negotiating with an insurance company on your own and getting nowhere, the company may be guilty of insurance “bad faith,” and you may be able to file a claim against the company – and win additional compensation – on that basis. A difference of opinion between an accident victim and an insurance adjuster does not necessarily mean that an insurance company is operating in bad faith. If, however, an insurance company, in fact, operates in bad faith, it may not be necessary to file a lawsuit or to take the company to court. In some cases, simply hiring an injury attorney and having that attorney write a letter to the company will lead to some action. WHAT CAN YOU EXPECT IF YOUR BAD FAITH CLAIM PREVAILS? If your bad faith claim goes to trial – and you prevail – an insurance company may be ordered by the court to pay for damages over and above the amount of your original claim, particularly if the insurance company’s actions were egregious. When an insurance company operates unethically in Illinois, and you are the injury victim, you’ll need the advice and representation of a personal injury lawyer who will fight aggressively for the compensation you need and for the justice you deserve. If you think that an insurance company is dealing with you in bad faith, it probably is. Do not be intimidated. Instead, get the legal help you need. That is your right.